Paris OpenData in many different data types. companies can provide added value to these data, and thus create jobs and wealth for the community. The movement "Open Data" (open data) is to get any type of structure, including local authorities around the world, the provision of all, free and free of electronic data. More Data to come in the weeks. The File Geodatabase API provides a non-ArcObjects based means by which advanced developers can work with File Geodatabases. A common user scenario is to open File Geodatabase tables in non-ESRI applications to view or modify data. This API provides access to the low-level File Geodatabase file I/O modules. This API is targeted for advanced developers who require access to the File Geodatabase without an ArcObjects license for purposes of interoperability. This API does not replace ArcObjects as the recommended approach to interacting with the geodatabase. 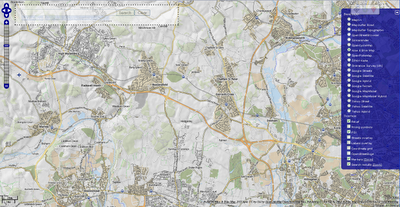 "Probably the best Feature Manipulation Engine [FME] GIS/CAD conversion software you can get." 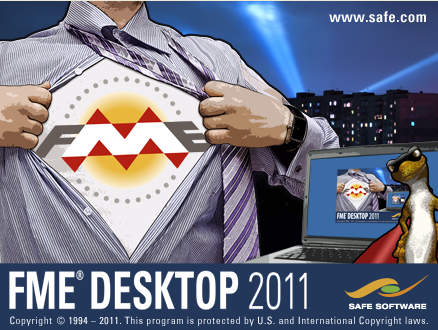 FME 2011 release "story through some numbers"
Top Pick from Mapperz #osm data reader and writer! "All these numbers add up to what we believe is the highest quality, most powerful, and most usable FME ever." 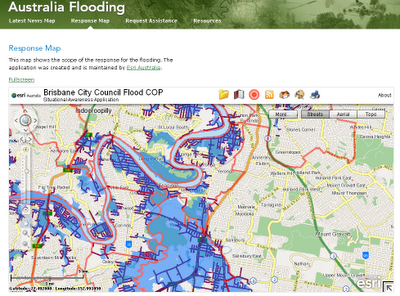 The ABC has launched an interactive map of the Queensland flood. Please 'Submit a Report' about what's happening in your area. The map includes both verified and unverified reports. Please note, this is an experiment in gathering information from the community. It works like this: you send us information, either by email (qldfloodsmap@gmail.com), text message or Twitter (simply use the #qldfloodsmap hashtag on your post) . ESRI have also released "ESRI Australia - Brisbane City Council Flood COP - Situational Awareness Application"
Facilmap.org Beta is an OpenLayers-based slippy map that aims to combine useful geographical information, renderings and tools of different projects into one reusable and extend-able map.